Shipping dates are for DVD and Photo CD orders placed at the pageant. Please remember that you must select the pose you want for your portrait package and use the photo coupon mailed to you before these products will ship. 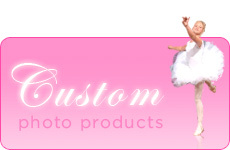 If you did not complete your custom photo order at the pageant please do so on our site so these products can be processed and sent to you. If you provided National American Miss with your email address you will receive a tracking number via email when your order ships.